Product prices and availability are accurate as of 2019-02-19 08:38:45 EST and are subject to change. Any price and availability information displayed on http://www.amazon.com/ at the time of purchase will apply to the purchase of this product. 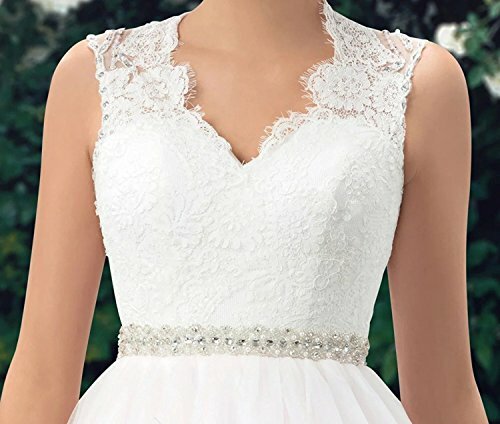 Weddinglee is a professional designer and manufacturer for wedding dresses and prom dresses and committed to providing each customer with the highest standard of customer service. We put "Customer Satisfaction" into reality in the course of business, and into every detail of the business management. Your problems can be settled in no time and you can shop here with no worries or risks. All Weddinglee dresses are custom made or made to measure, we will send you e-mail to confirm the size of your dress, if there is no reply within 24 hours, we will start to make the dress based on our Size Chart. So regularly check your email on a daily basis will be great to keep in touch if problem exists. 2. 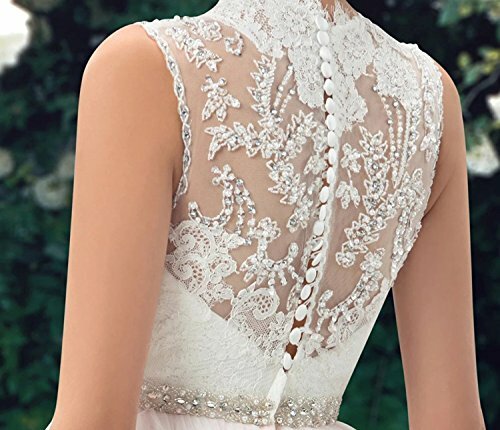 If it's your reason to choose wrong color or size or change your mind (don't love the style you ordered), we accept the return request, but you need pay the shipping to send the dress back to Weddinglee, plus a restocking fee (20% of your order amount). 3. 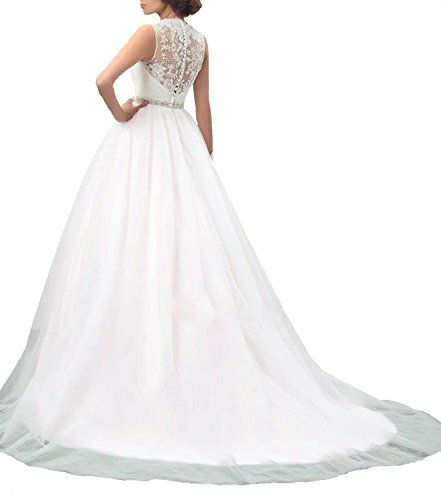 Weddinglee can't accept returns that it has been washed, used, altered and etc. All products must be in original condition. 4. The most important thing, if you have any questions, please contact Weddinglee within 3 days after you receive the package. High quality fabic, Built in Bra and Fully-lined. 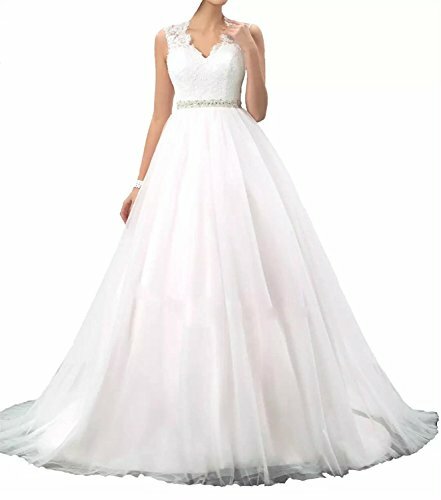 Delivery Time: Total delivery time is Tailoring time(ususlly 7-10 business days) Plus Shipping time(usually 3-5 business days).But Total Delivery Time can be shortened to 10-15 days if you are in urgent need of the dresses. 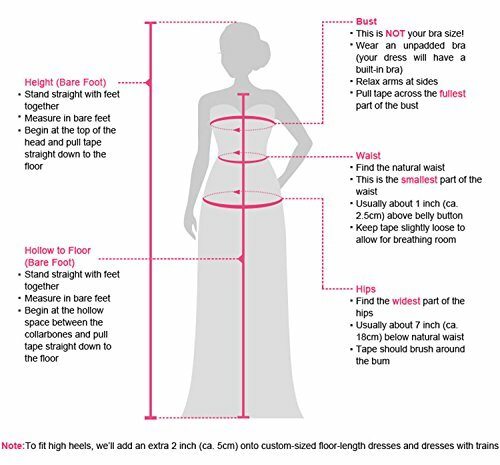 Size: For accurate measurements of Bust,Waist,Hips, Hollow to Floor, Please refer to the Standard Size Chart displayed on the Left. 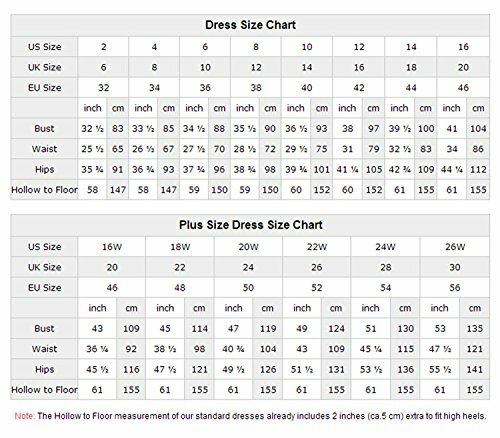 If the Standard Size does not fit you, Please contact us By E-Mail,Weddinglee will make the dress fit you well. Don't use the Size Chart Link of Amazon and your local store. Return is allowed if there exists quality issues, Feel free to contact Weddignlee By E-Mail for any other questions or requirements, We will try our best to help you.